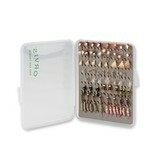 Super Slim Vest Fly Boxes hold 120 flies in cut reference foam. Eight rows, 15 slots. 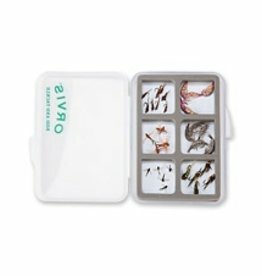 The perfect fly-fishing boxes for micro flies and midges. 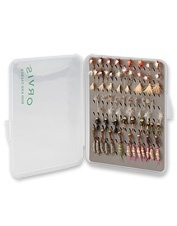 Hold 168 flies in the slimmest of fly boxes that takes up very little room in your vest. Easy foam slit positions. Recommended for nymphs and sparsely hackled or parachute dry flies up to size 16. 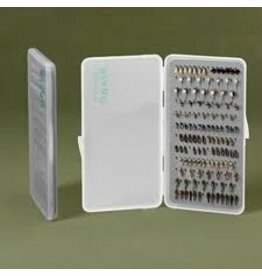 6 compartment magnetic base. 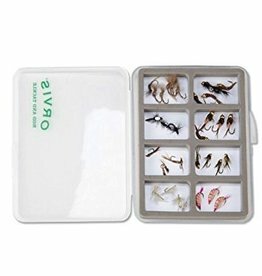 Recommended for nymphs and sparsely hackled or parachute dry flies up to size 16.